Ha ha ha! 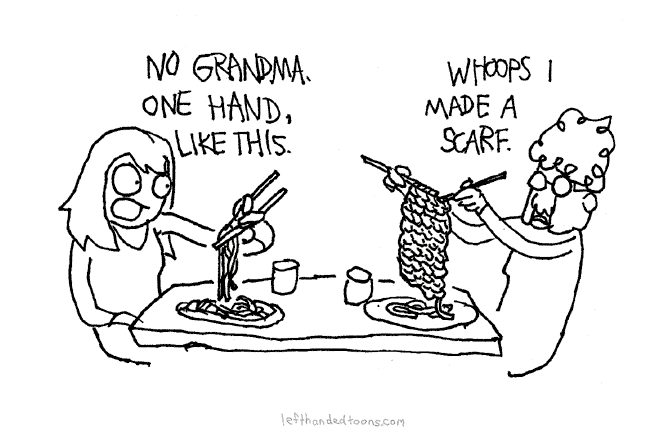 A scarf, meanwhile, is all I can knit (not from noodles, but still). If you ever want something knitted from me, I can either make you a little scarf or a long scarf or a really, really long scarf, and that’s about it. Hope you like scarves. While driving through New Orleans on a recent visit, my friends and I passed this amazing wall that offered the line “Before I Die…” and blanks for the locals to fill in. 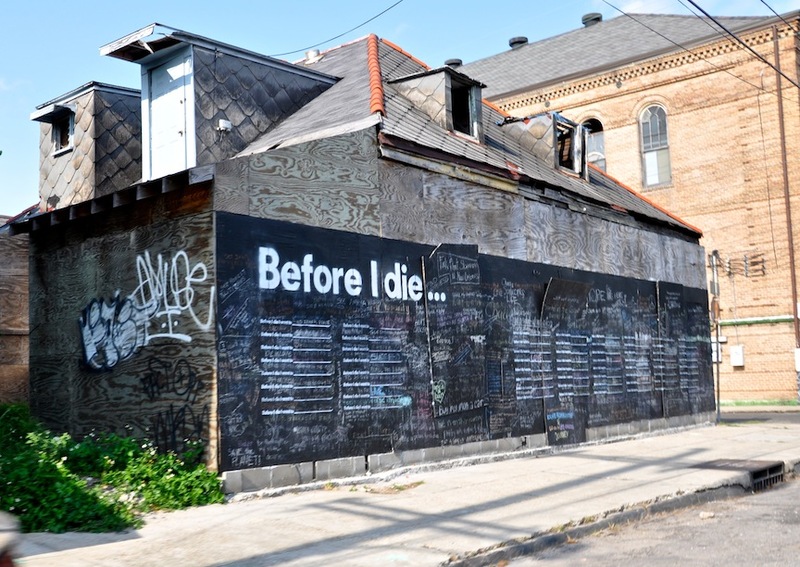 It turns out, the wall was made by a NOLA artist named Candy Chang, and she’s passing along the “Before I Die” project, which is now popping up in cities all over the world, from San Diego and Portsmouth in America to Lisbon in Portugal and Queretaro in Mexico. I think it’s an amazing idea. I mean, I don’t mean to be riffing on theme here, as you may recall my post about what happened when I my own obituary (sorta). 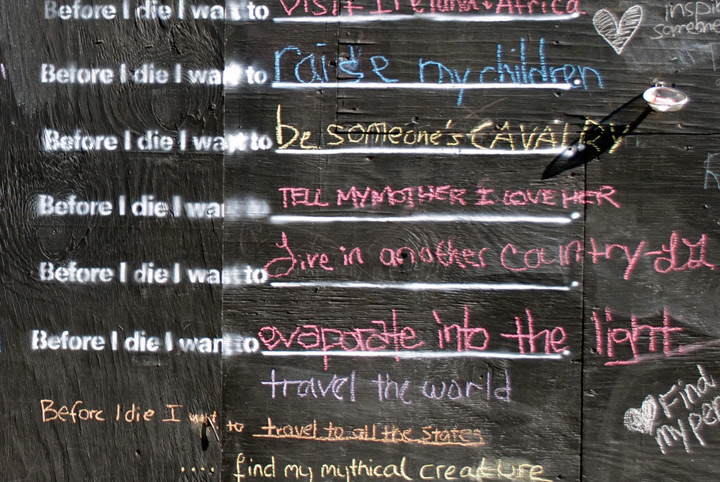 But I love the reminder this “Before I Die” art gives us to check in and see if we’re on the right path in life. And so I ask you today...what would you write on the wall? Give it a good few minutes, really. Because getting the life we want for ourselves isn’t as simple as flippantly “wishing” for it. We have to want it. We have to say we want it. 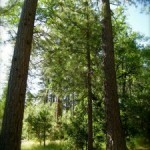 We have to talk about it and pray about it and write about it. And if we do that writing on a twelve-foot billboard on the street, all the better! Life is about putting your dreams out there and standing proud behind them. I’m going to do that over here in my house. Write my list. Maybe you could do the same. Write what you want to be, who you want to help, who you want to say “I love you” to, and where you want to travel. It’s like the Lottery: You can’t win if you don’t play, right? We notice a red flag on a date (he got up four times to whisper into his phone in the corner!) and yet we keep dating them until the flag is the size of a highway billboard. We don’t get a good feeling from the doctor (she didn’t even say hello!) but we go back to her anyway and aren’t that surprised when she prescribes the wrong medication. We hear the car making a strange noise but he says to ignore it (is that “check engine” light really always on?) and then kick ourselves when the car overheats six miles from town. The point is, life is giving us signs all the time. 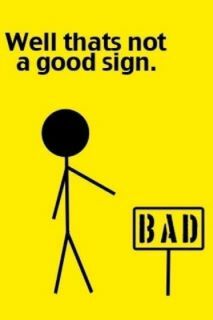 They’re not signs on the side of the road—they’re signs within us, physiological reactions to what we may not even realize we’re noticing. Our minds have spent a lifetime learning on our behalf, so we owe ourselves the respect to listen our gut! The more we pay attention to our gut instincts, follow our hearts and read the signs, the happier we’ll be. Well, love happened, and she recently wrote to tell me all about it. This is the “bump into” plan for happiness. Think of life as one great big party. Picture it: It’s full of wonderful people, good music, bad dancing, and fab spreads of food. Everyone’s milling about, crossing the room, popping through doorways and running into each other. And if you keep your eyes and ears and attitude open, you’ll meet some great people whether you’re in line for the bathroom, getting a refill on your cocktail or just strolling from one room to the next. Like any party, you won’t have a blast by staring down at your feet in the corner. 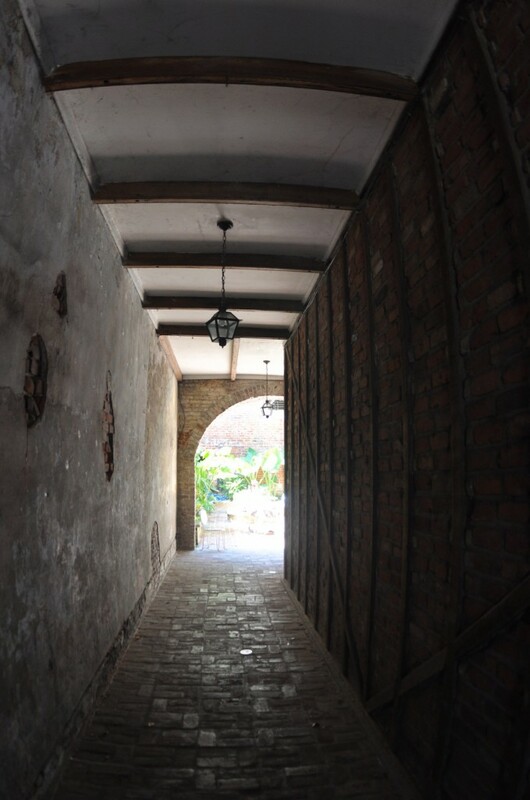 You’ll have it from looking up, walking around, and engaging with the room. You won’t bump into anyone if you’re not crossing through the room in the first place. Follow the “bump into” plan for happiness. Join the party, introduce yourself, seek out the interesting stories, and have fun. By engaging yourself with the room, you just might meet people you really like who make the evening—and life—better than ever. “Oh, there you are,” you can say to them, “I knew you’d be here.” Just like Stacey did. Then you can head straight to the raw bar and make the most of it.